Jerome Solon Felder was born on the June 27, 1925 in Brooklyn, New York City. The son of a Jewish immigrant and English mother, Jerome contracted polio as a child and wore leg irons and walked with the help of crutches. He loved reading in bed and soon became a wordsmith. He learned to play saxophone and was aged 15 became inspired by blues music after hearing a recording of Big Joe Turner Secretly at night the young teenager went to Greenwich Village and sneaked into the clubs. Often the only white face in the crowd, but undounted he listened to the acts, then one night he decided to get up on stage and sing. 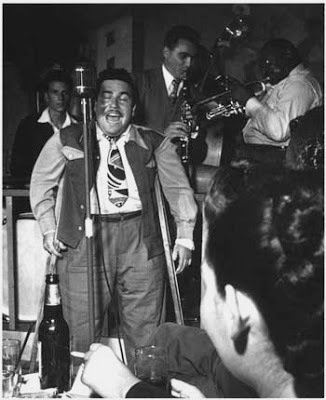 He took the stage name "Doc Pomus", some say because he thought it sounded more credible than Jerry Felder the blues man , whereas others cite it was to stop his mother from recognising any reference to his nocturnal visits to the Village. In this early days , the young Doc played with many luminaries including: Milt Jackson, Mickey Baker and King Curtis. On the Savoy label in 1947, he released several records including; Fruity Woman Blues and My Good Pott. A year later he switched to Apollo and released and Alley Alley Blues(1948). Later on the Apollo label , he released, No Home Blues (1950), before switching to Coral and releasing Give It Up / Blues for Sale (1951). By the early 1950s, Doc Pomus was writing magazine articles as well as songs. He penned the hits, My happiness forever, for LaVern Baker and Lonely Avenue for Ray Charles in 1956. A year later with Mort Shuman, he co-wrote Love Roller Coaster for Joe Turner. Doc Pomus wrote "Young Blood” and gave it to Jerry Leiber and Mike Stoller, who radically rewrote it. The Coaster recorded the song and Leiber and Stoller, shared the song writing credits with Pomus. The song was a hit for the group in 1957 and topped Billboard's R&B chart and reached #8 on the Billboard Hot 100. When the royalties came it a welcome bonus to the newly married Doc Pomus, and convinced him song writing was a worthwhile venture. He gave up performing for full-time songwriting. The song was covered by many artists in the decades that followed including: The Beatles (1961), Leon Russell (1971 ), Carol Wilson (1983 ) and Jerry lee Lewis (1995 ) among many, many others. Aware of the change of popular music, he collaborated with Mort Shuman, to compose more rock and roll songs for Aldon Music at offices in New York City's Brill Building. Initially, Doc wrote the lyrics and Mort Shuman the melody, although occasionally each worked on both. In 1958, they had US top 10 hits with Fabian’s ‘Turn me loose.’ A year later, Dion and the Belmonts ‘s ‘Teenager in love,’ made Number 5 in the US charts. Both songs and many more were quickly incorporated into the repertoire of emerging rock and roll artists both in the US and UK. Other songs written by Pomus and Shuman which made the singles charts in 1959, included "White Bucks and Saddle Shoes" (Bobby Pedrick, Jr.), "I'm a Man" and "Hound Dog Man" (Fabian), Angel Face (Bobby Darren), I dig girls (Bobby Rydell), Go Jimmy Go (Jimmy Clyton) and "Plain Jane"(Bobby Darin). The Mystics made the Top Twenty with Hushabye . The song writing duo wrote several hits for the Drifters starting with "(If You Cry) True Love, True Love" (1959). This was followed by “This magic moment” (#16) and “Lonely Winds.”(# 54) in 1960. "Save the last dance for me" was the most successful and topped the charts in the US and UK in 1960. The lyrics were reportedly scribbled on the back of his own wedding invitation, three years after the event. Being unable to dance due to his infirmity but loving watching his new bride on the dance floor, the songwriter captured magically in his lyrics the romantic sentiments for all to enjoy. More hits came with' "I Count the Tears" (1960), "Sweets for My Sweet". (1961) and "Room Full of Tears" (1961). The recording of "Sweets for my sweet" features an up in front piano provided by the song's co-writer, Mort Shuman. The song and groups popularity of other side of the Atlantic encouraged many beat groups including the Searchers to record their own version. The Searchers version topped the British charts. The writing duo had a long and successful association with Elvis Presley, with the King recording 25 of their compositions. This included "Mess of Blues," (1960), "Little Sister," (1961), “Surrender" (1961), "Kiss me quick," (1962), "Viva Las Vegas" (1963), "(Marie's the Name) His Latest Flame", (1963) and "Suspicion", (1964). His collaboration with Stoller and Leiber led to another Elvis Presley Number One hit with "She's Not You" in 1962. Other song writing collaborations for Presley were "I Feel That I've Known You Forever" (1962) with Alan Jeffreys, and "Girl Happy," (1963) written with Norman Meade. During the late 1950s and early 1960s, Pomus wrote with several Brill Building-era writers, including Phil Spector. Together they penned Ben E King’s “Ecstacy” (1962), "Young Boy Blues" (1964), and the Pairs Sisters’ "What Am I To Do?". In 1963, Pomus and Shuman wrote the Number One hit "Can't Get Used to Losing You", for Andy Williams. The song writers moved to England and wrote a number of songs for British musicians, but as musical tastes were changing, work began to get harder to place. In 1964, Phil Spector and Doc Pomus got together as Harvey & Doc with the Dwellers and released “Hey Baby”/”Uncle Kev,” but it faled to attract public attention. In 1965, Shuman left the songwrting partnership, to pursue other projects and Doc Promus fortunes began to falter. By this time, his marriage had fallen through and he was beginning to mix with ne'er-do-wells. Things did pick up again and in the 70s and 80s, he was writing songs with: Willy DeVille ("You Just Keep Holding On", and "That World Outside" both recorded by Mink de Ville in 1980 then "Something Beautiful Dying" released in 1985; Dr. John, ("There Must Be A Better World", recorded by B. B. King in 1981); Ken Hirsch ("There Is Always One More Time", recorded by BB King in 1991). Other artists kept recording his songs to ensure he became one of the greatest popular songwriters of the 20th century. Doc developed post-polio syndrome, after an accident and gained weight forcing him into a wheelchair. Sadly, he contracted lung cancer and passed away in 1991, aged 65. A documentary film A.K.A. 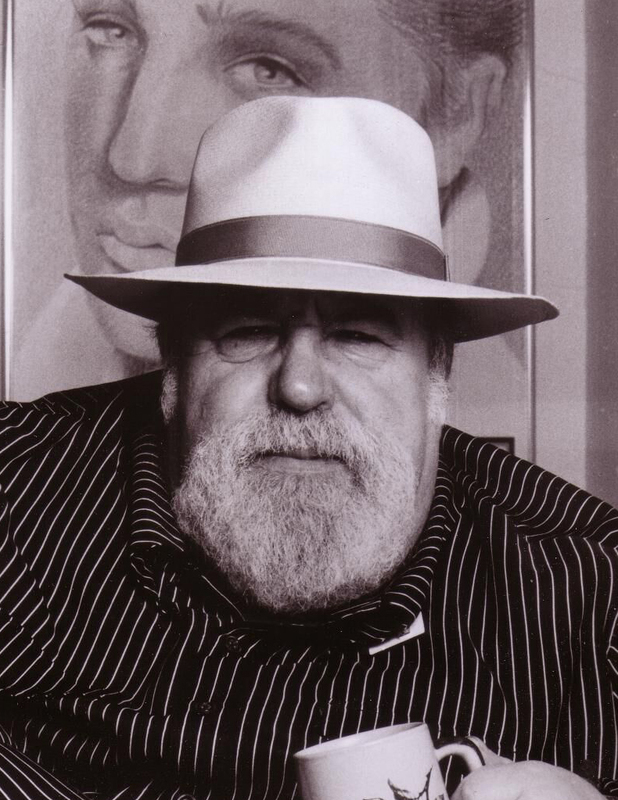 Doc Pomus (2012), conceived by his daughter Sharyn Felder, and directed by filmmaker Peter Miller, details the life of Doc Pomus. Before his death, there were a string of benefit shows held for him at clubs around New York, and his life-long friend, Jimmy Scott performed "Someone to Watch Over Me" at his memorial service. Doc Pomus' memory lives on via Doc Pomus and Founders Fund Financial Assistance Grant Program.